That, ladies and gentlemen, is a copy of the famous book by the Grimm brothers, only better: It’s the first translation into English ever of that book’s first edition, published in 1812. This copy, published by Princeton University Press, was translated by Jack Zipes, an American scholar and professor emeritus of German and comparative literature at the University of Minnesota who is an expert in the fairy tale matter. Most of us are familiar with the stories narrated in that book’s seventh edition, the most popular one. You will probably also know many of the Disney versions of the original tales, such as Cinderella or Little Red Riding Hood. That said, I invite you to join me in the reading of this first edition, as we are expected to be in for a surprise. 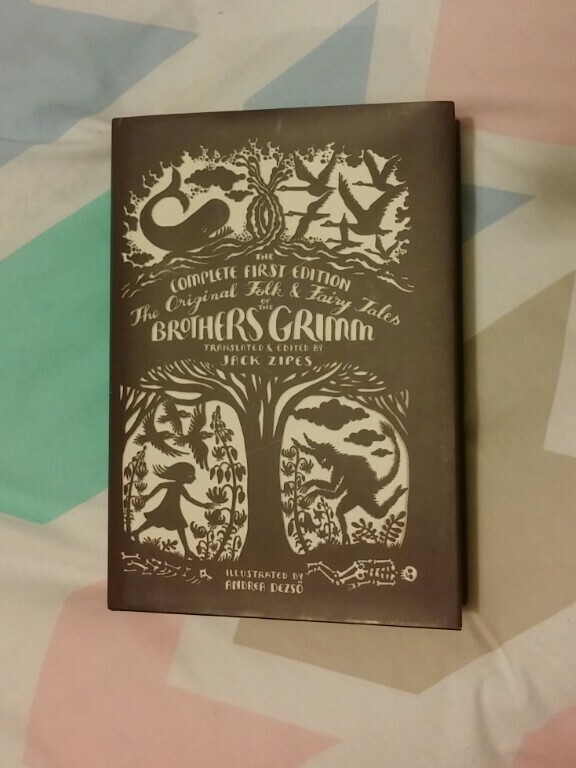 This book’s first edition was a compilation of the oral tales the Grimm brothers collected during his travels around the German countryside. In Zipes’s own words, the stories narrated in it are more blunt, brusque and dynamic, closer to the oral tradition of the 1800s, as opposed to the edited and “purified” version conveyed by the seventh edition and, even more so, Disney. The original edition was not published with the aim of being read to children before they went to bed. The change of mind took place only after the first two editions were published, when the Grimm brothers decided to target a middle-class audience. For this purpose, they edited the stories to suit a puritanical ideology, added Christian references, made them more suitable for children and got rid of some 40 or 50 tales (that we can now access through this new translation!). In an interview with the MinnPost, Zipes spoke of the banalisation and dumbing down of fairy tales as a most regrettable outcome. He added that we are the ones who should decide what can and cannot be read to children, free of any puritanical censorship. The translator also said that he decided to translate the first edition of the book when he realised it hadn’t been fully translated yet, as well as due to the major differences between the first and the seventh edition, which he had already translated back in 1987. I honestly can’t wait to get into this book, which I consider something pretty close to a time traveling machine which will take me right back into the life of 19th century Germany. In any case, I’ll keep you posted (Ha! See what I did there? I’m hilarious). Previous Entry Now a IAPTI Member! I like this. And I like you! What an objective comment, my friend. I love you.